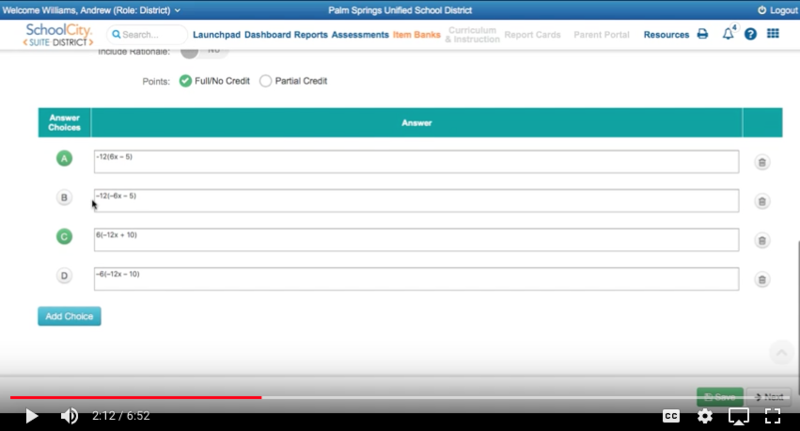 Please Note: You must be logged into your PSUSD Google account to access the documents or videos on this page. 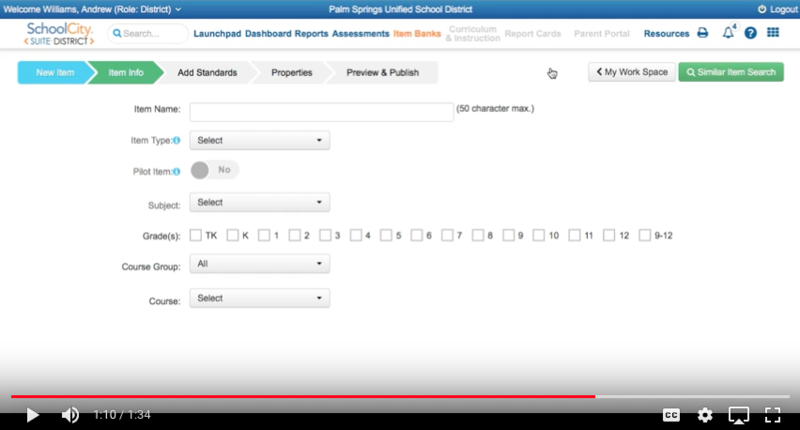 In this document you can see all the different item types available in SchoolCity. The item types highlighted in blue are the items types you are able to create yourself. 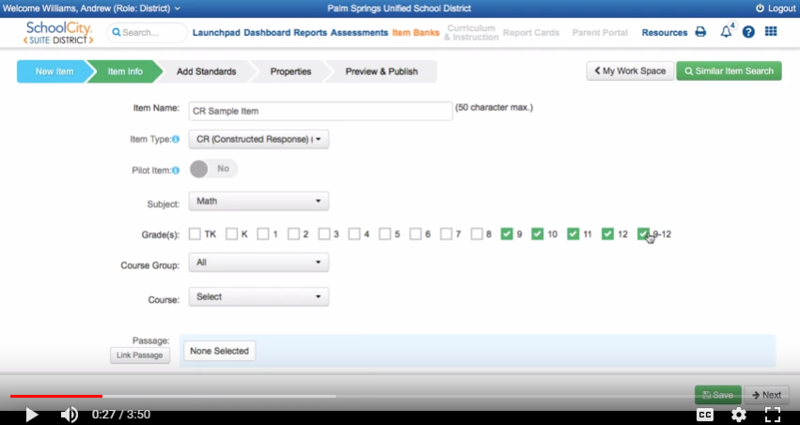 Watch this video to learn how the very basics of creating your own item in SchoolCity. You will learn how to get to your My Workspace and the Create Item screen. 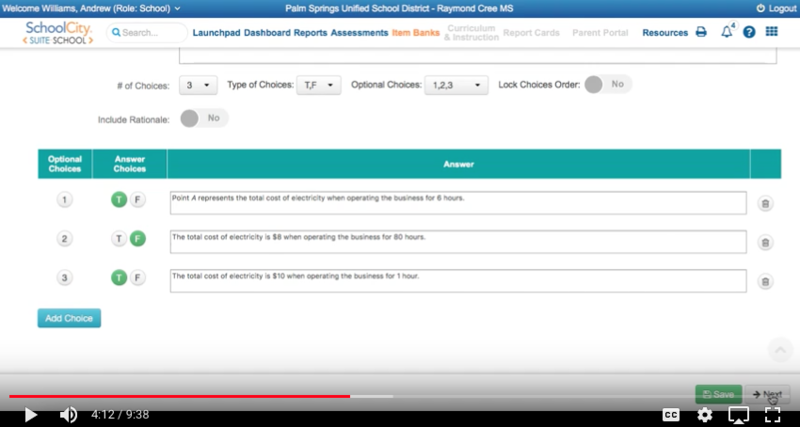 Learn how to create multiple choice items where there is only one correct answer. 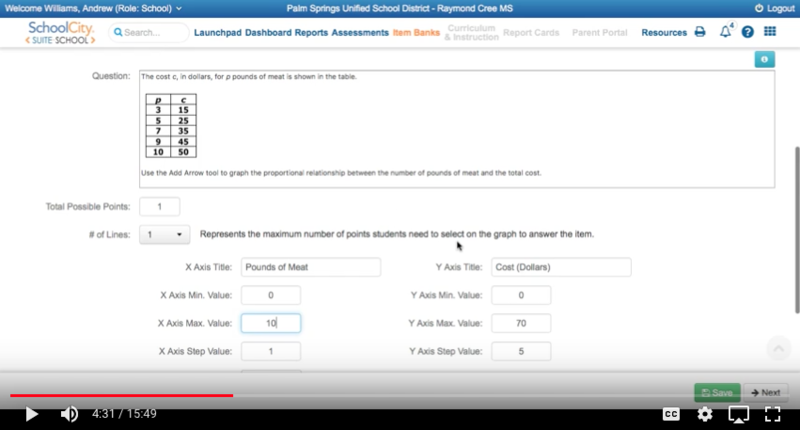 Learn how to create multiple choice items where there are multiple correct answers. A select all that apply item. Learn how to create an item similar to equation/numeric on the CAASPP. 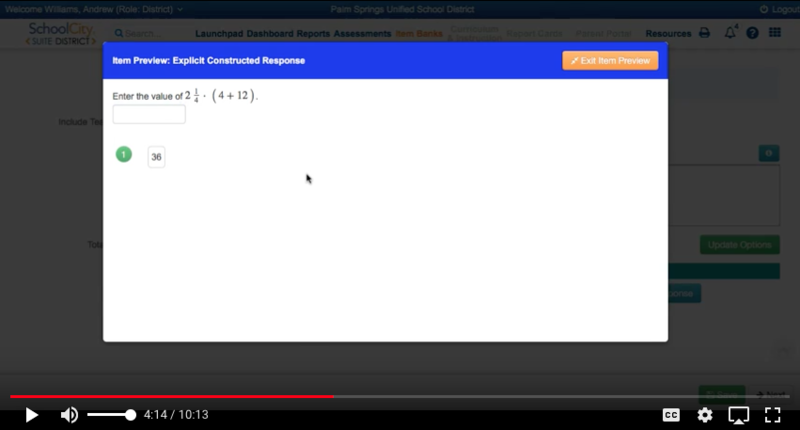 In this item, a student types in an exact word, number, expression or equation. 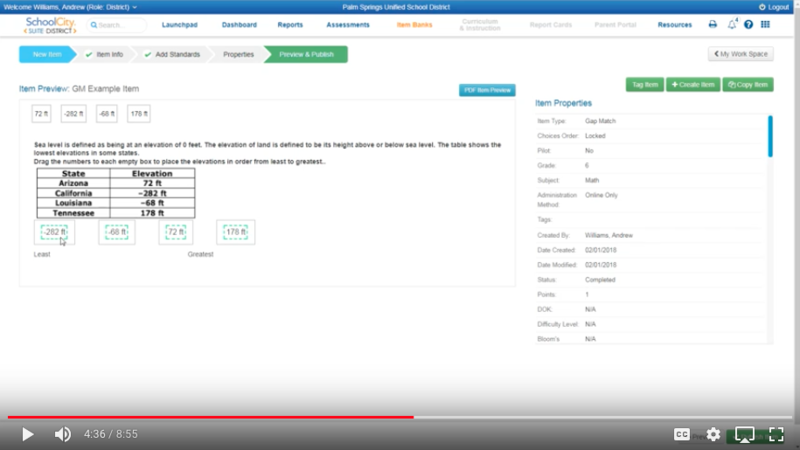 The computer will automatically score this item and you have the option to add several allowable answers. Learn how to create an item similar to matching tables on the CAASPP. In this item, you can set up several statements and the student will click true or false for every statement. You can also chose yes/no or correct/incorrect instead of true/false. 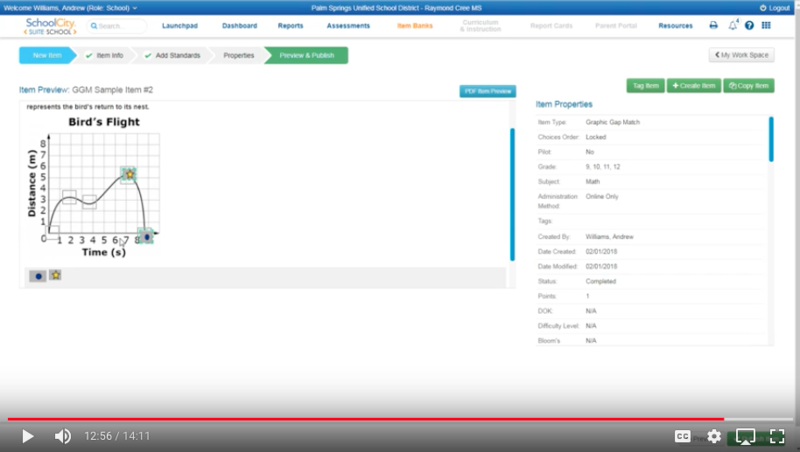 Learn how to create an item similar to the drag and drop on the CAASPP. In this item, a student will drag potential answers into a box. The computer will automatically score this item and you have the option to several answers to choose from. Learn how to create an item similar to the drag and drop on the CAASPP. In this item, a student will drag potential answers into a specific piece of an image. Watch the video to get a better idea of how this one works! It's a fun one to create! Learn how to create an item where students have to plot points. 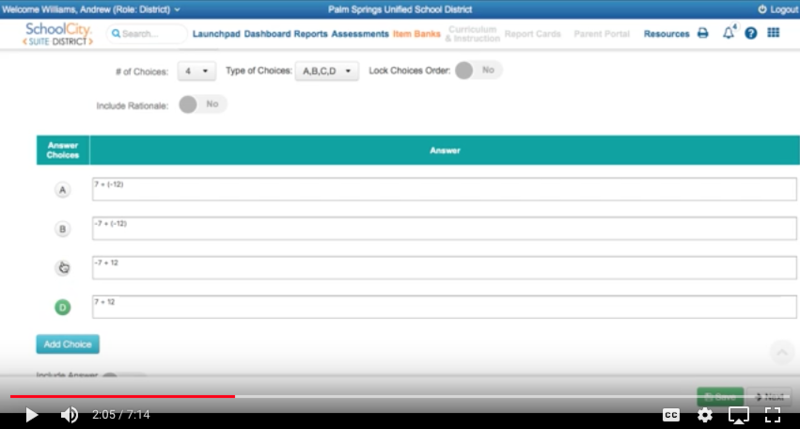 You have the option to require multiple points and you can customize the coordinate plane. 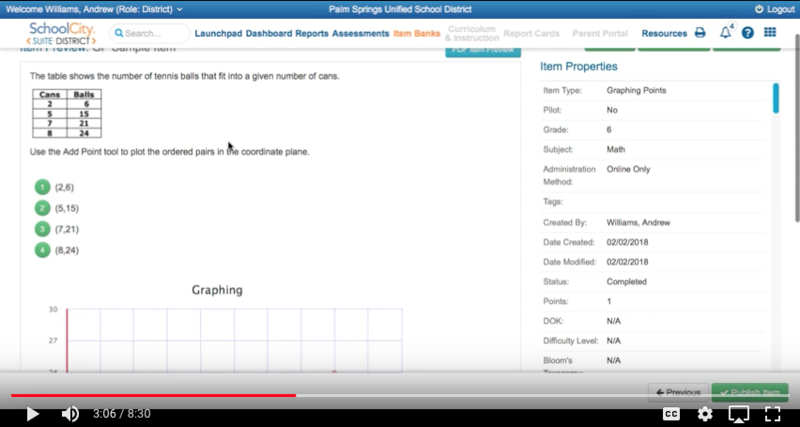 Learn how to create an item where students have to graph lines. You have the option to require multiple lines and you can customize the coordinate plane. Learn how to create an item where students type their response. You will have to manually grade a Constructed Response Item Type. 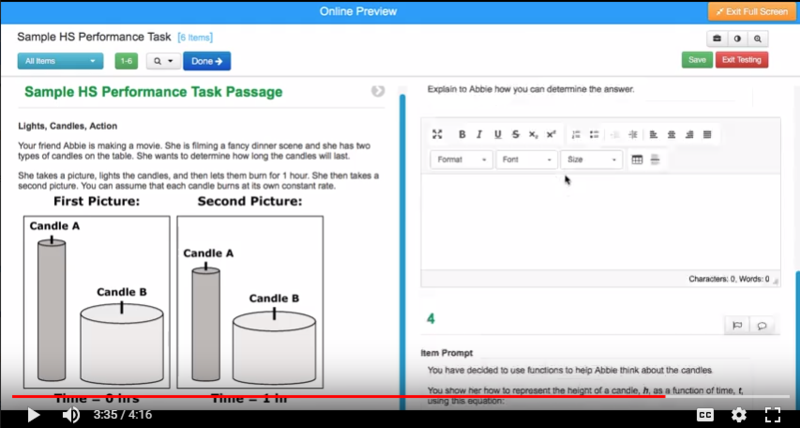 In Part One you will learn how to create a passage which will show up on the left side of a performance task. 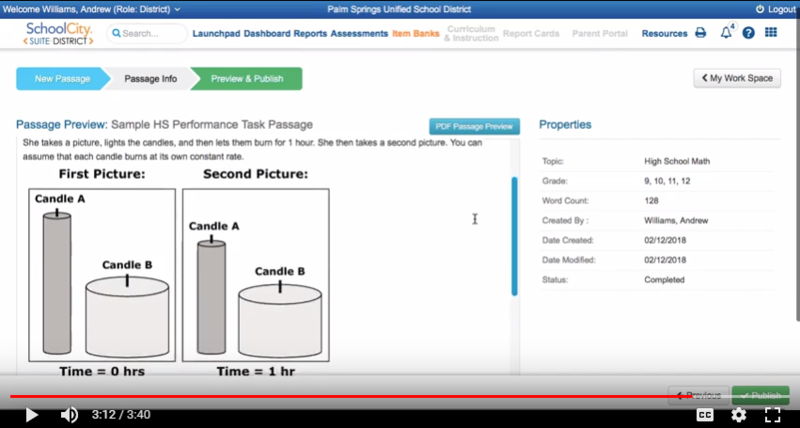 In Part Two you will learn how to assign a passage to items and then create an assessment using these items. Your final product will have a passage on the left and all the questions on the right.